Pause For Polish: Yesterday Seems So Far Away.. Okay so i might have gotten a little too involved with watching Face Off last night, and i might have forgotten to post yesterdays manicure.. just a little bit. So instead i'll be saving the Sinful Color swatches for tomorrow and sharing the mani with you today! For this look i used two coats of MUA - Frozen Yogurt for the purple nails, and one coat of Sinful Colors - Snow Me White for the thumb and ring finger. 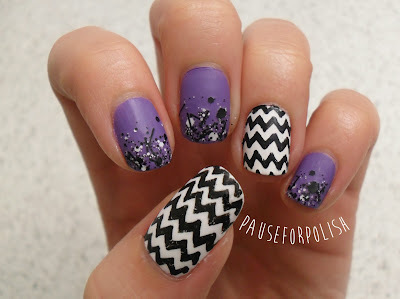 For the chevron print i used Barry M's black nail art pen and free handed the design. 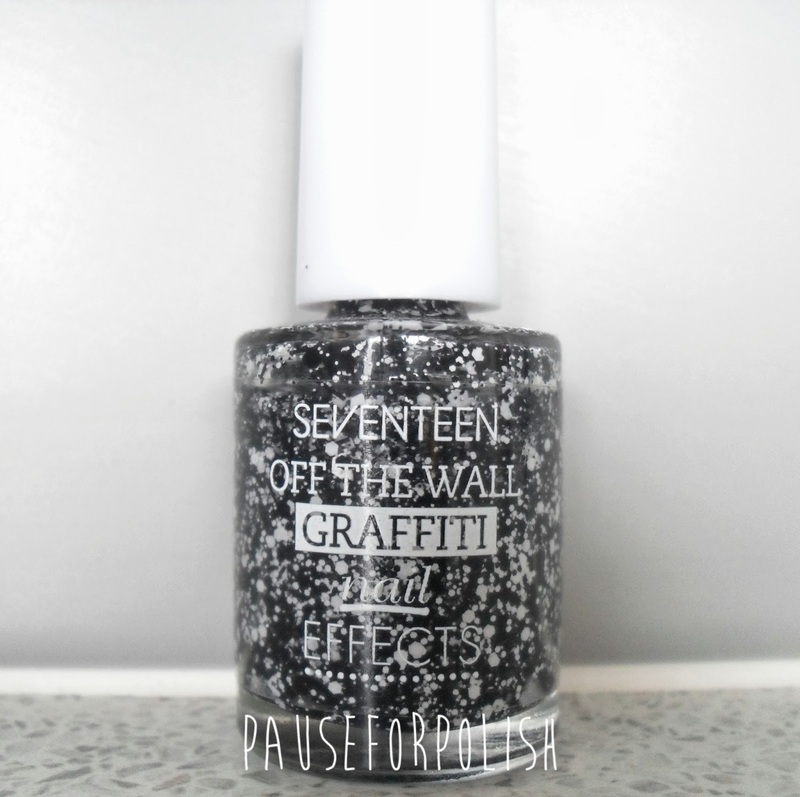 Then to spruce up the purple nails i used Seventeen - Off The Wall Black Graffiti Effect and made the gradient using a cotton bud. I sealed it all off with a matte polish by ELF. For some reason this reminds me of the 80's, which wasn't exactly what i was going for when i started this mani but i'm definitely happy with the results! The only thing i could grumble about is the black line work because for me, the black Barry M pen always seems to crack. I never have an issue with the white pen though.. anyone else have this problem? Anyway.. It's time for the piccys! So here are my new babies, ready to be swatched and loved! What a good idea!! I have a glitter like this :) I love it!